A long long long time ago, I said that one of my goals was to have 2-feet-high worth of Journals completed before I die. Man, I’ve got a lonnnnnnng way to go! SOOOO, in an effort to move this along, I did two pages today. I’ve been seeing a lot of Cartoon-Style Journaling lately, and decided to try it. The first one is a Challenge from Jen – Self Portrait. Now, she does really really good, and realistic, drawings of people. Me? Not so much. This is me enjoying my ideal day. We don’t actually have a cat anymore, but someday down the road we will. 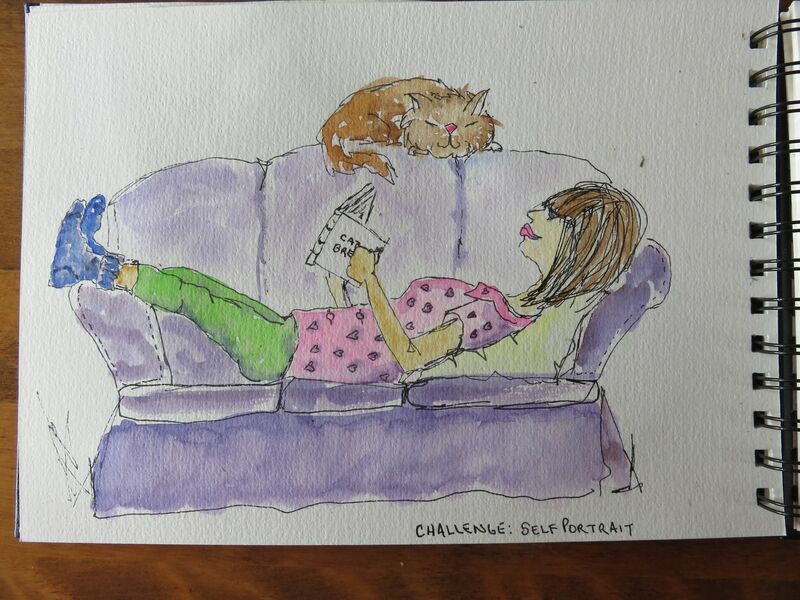 The second one was a prompt from a Blogger who draws every day – What are you afraid of? 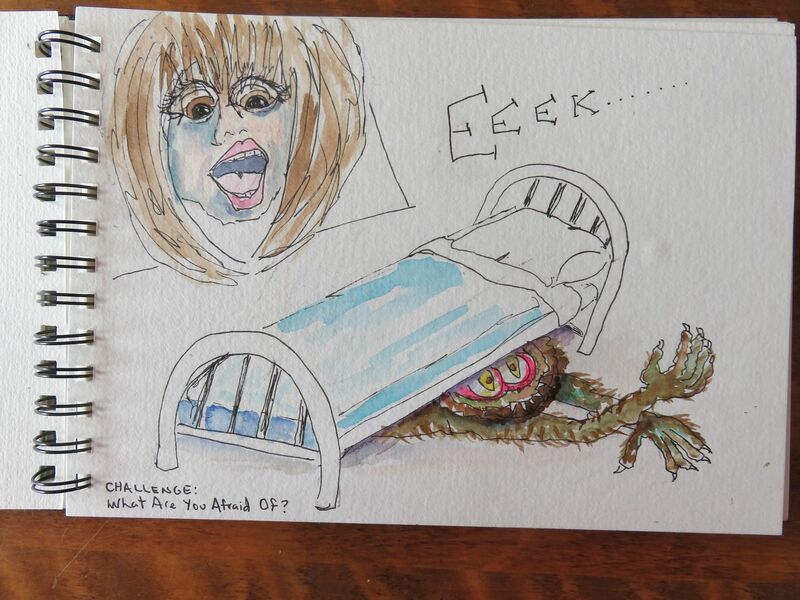 I really truly AM scared of the dark, and specifically of Hairy, long-armed Monsters under the bed. No Lie…. This entry was posted in ArtEveryDay, Challenge, Drawings, Faces, Figurative, Journal, Moleskine, Travel Journal, Watercolor and tagged Art Every Day, Challenge, drawing, figurative, journal, moleskine, Travel Journal, watercolor. Bookmark the permalink. 4 Responses to Filling Up The Pages…..
Hey, nice shoulder length hair…. You are so creative, I think they are great!!!!!!! I particularly like your perfect day. You have a real nack for cartooning. ..as with so many other things.